Columbia, SC – Heralded as one of the top 20 events in the Southeast as well as the world’s largest oyster roast, the annual Lowcountry Oyster Festival at Boone Hall Plantation in Mt. Pleasant is a celebration of all things oysters. Nearly 80,000 pounds of the bivalves are steamed or roasted in one day for the large crowds of people gathered to consume them. 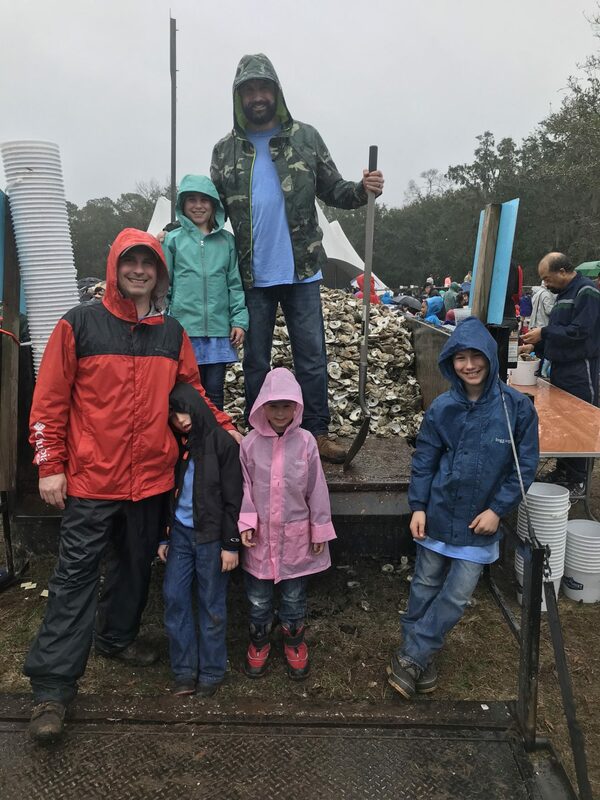 Since 2008, Coastal Conservation Association South Carolina (CCA SC) has organized a group of volunteers to collect and recycle the empty shells for the building of new oyster reefs in the estuaries of the Palmetto State. When the group first began working with the Charleston Restaurant Association staff and the South Carolina Department of Natural Resources, the effort seemed daunting. Started in 2008 with an intrepid group of a half dozen volunteers, the effort has grown to 155 shell collectors in 2017 as well as 70 volunteers from the Culinary Institute at Trident Tech in Charleston and students from MUSC helping for the first time in 2018. Now, a large percentage of the task of the day focuses on educating event attendees on what they, the “oyster recovery team” volunteers, are doing and why. Over the 10 years that CCA SC has been participating, more than half a million pounds of shells, about 10,755 bushels, have been collected at this one event. In that same time frame, CCA SC has invested more than $80,000 in equipment and donated it to SCDNR to establish and maintain a fleet of tools and vehicles specifically for oyster recycling and deployment. The recreational angling group truly recognizes oyster recycling and oyster reef restoration as a cornerstone of its expanding list of habitat work to benefit both South Carolina’s marine resources as well as Palmetto State anglers.